Simple to install and remove, JEGS Preformed Stainless Steel Exhaust Band Clamps seal better than U-clamps & flat band clamps. Preformed bands allow linking of OD parts (exhaust pipes) to ID parts (mufflers). Includes T-304 band & aluminized steel hardware. Sold 1/pkg. 30734 is rated 3.7 out of 5 by 3. Rated 5 out of 5 by Z Garage from Worked good on pipe but not for collectors I like the cleaner look of these claps and the cover more of the pipe but I overestimated the width of the pipe to the collector and had to resort to the traditional C clamps. 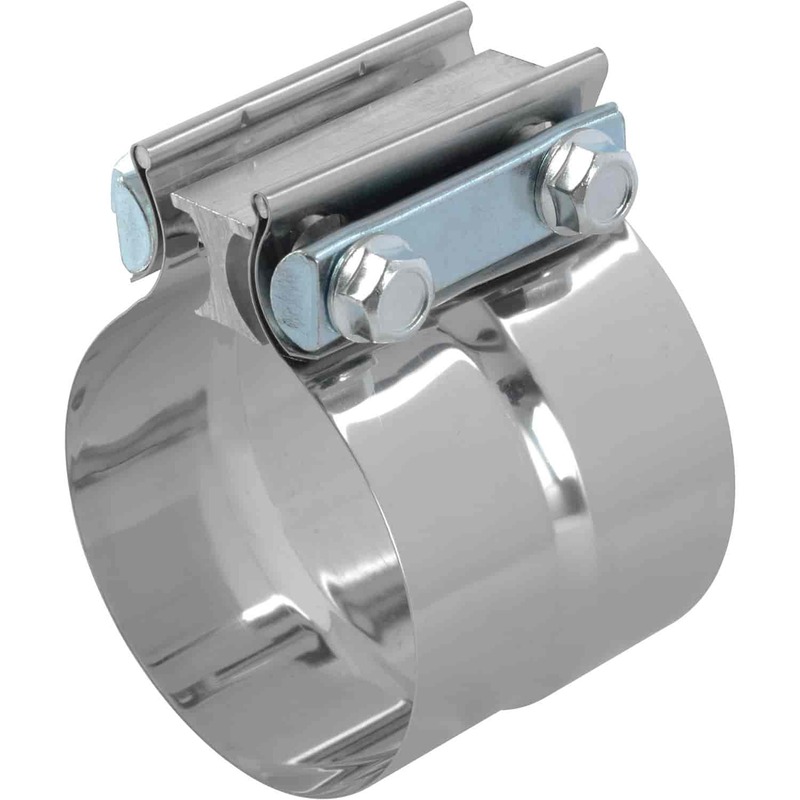 Rated 1 out of 5 by Bodypro68 from 3.5 inch band clamps They do not tighten down. Was a waste of time and money. And i did buy the correct ones.